Sun-drenched and evocative, Greece’s landscape is one of remarkable history and unchecked natural beauty. Its sea-view suites, designer-styled boutique hotels and whitewashed villas are undoubtedly romantic, but there is much to explore beyond these bougainvillea-framed hideaways. From Crete’s stretches of pink-sand beaches to Santorini’s volcano-crafted caldera, the country is a feast for the senses: bask on unspoilt coastlines, dine on lavish spreads of island-grown produce and savour the Mediterranean’s most spectacular sunsets. A treasure trove of ancient ruins, medieval cobbled street and fortified palaces, Rhodes is an open-air museum framed by azure waters – a haven for sun-seekers and budding archaeologists alike. Once the centre of the ancient Greek empire, Athens’ current incarnation is one of grace and grit. Locals are justifiably proud of their magnificent past, but the city’s present – embodied by boundary-pushing galleries and bustling street life – is just as captivating. A seductive landscape of flourishing countryside, soft-sand beaches and undulating mountains, Crete is undeniably beautiful. Its charms are more than skin-deep: explore the island’s mythical history, Bronze Age artefacts and imposing fortresses. 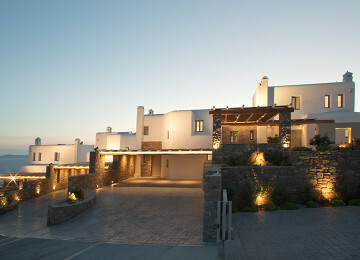 Out-of-the-way Patmos rewards travellers with quiet walking trails, sheltered white-sand coves and hillside villages. Its spiritual heritage (one of the Gospels is thought to have been penned her) sets the tone for restorative, soul-soothing getaways. 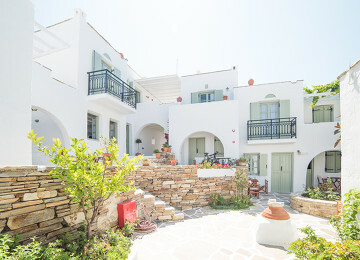 A secluded island surrounded by turquoise waters and dramatic end-of-the-world cliffs, Folegandros ticks all the right boxes for a romantic getaway: expect luxurious suites, pared-down villas and elegant beachside boltholes. 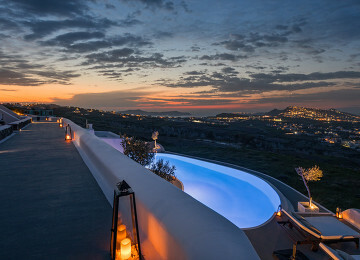 A regular haunt of A-listers and international DJs, Mykonos’ party credentials rival those of Ibiza. A new crop of luxury boutique hotels is transforming the island, making the most of cobbled streets, pretty windmills and blissful summer heat. Messinia’s crystalline bays, sun-kissed beaches and lush countryside are breathtaking. 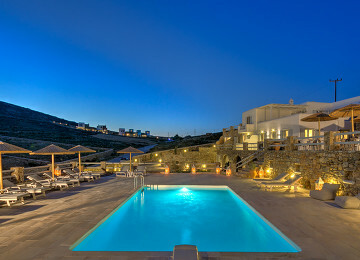 Holidays in the Peloponnese are all about taking things slow: hide away in pampering spas and tranquil seaside retreats. We all dream of a sunny break somewhere in the Greek Islands, but the sheer variety on offer can sometimes seem bewildering. To help you, here’s our guide to our Top 5 Greek Islands, giving a little glimpse of what each has to offer.